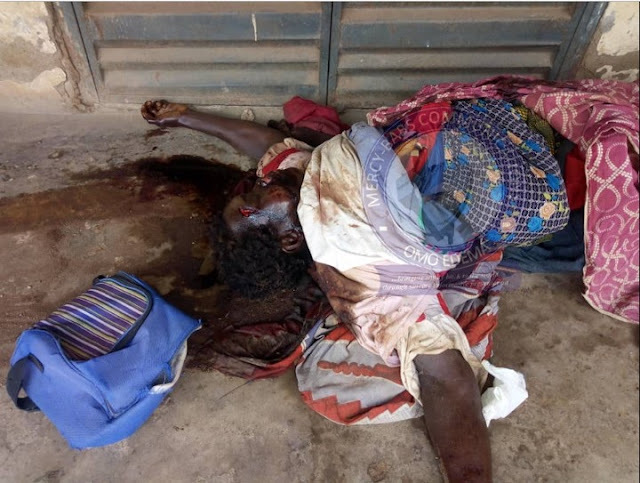 Home / Unlabelled / Mad Woman Killed By Ritualists In Ondo, Breasts And Eyes Removed. Mad Woman Killed By Ritualists In Ondo, Breasts And Eyes Removed. A madwoman was found dead in Ikare-Akoko in Akoko North-East local government area of Ondo state, with her body parts removed. The woman was discovered on Monday morning just at the same spot another madwoman was reportedly killed and body parts removed also two months ago. The assailants suspected to be ritualists reportedly removed her two eyes and severed her two breasts, leaving her lifeless in the pool of her own blood. The incident reportedly happened around Cemetery area, opposite Eco Bank Jubilee road, Ikare-Akoko. Meanwhile, residents in the area who were gripped with fear following two similar horrible incidents within two months have cried out that there is need for relevant authorities to investigate and bring the persons behind this dastardly act to book.